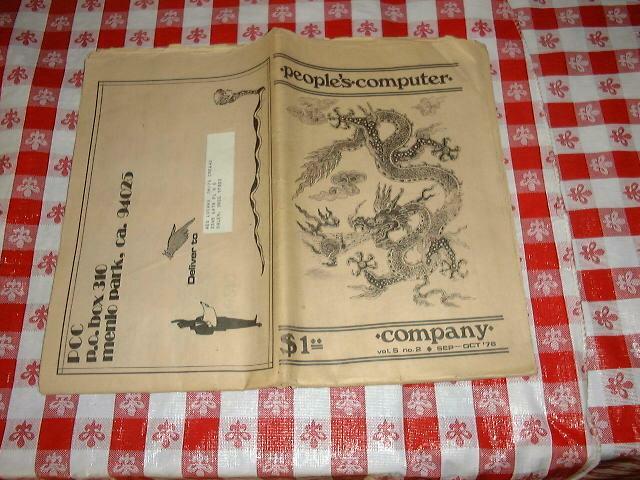 Produced by Bob Albrecht & George Firedrake in Menlo Park, California from the early 70s onward, the People's Computer Center, the People's Computer Company Newsletters, and DragonSmoke were a vital early spark that helped ignite the culture of people having a personal and creative relationship with computers. 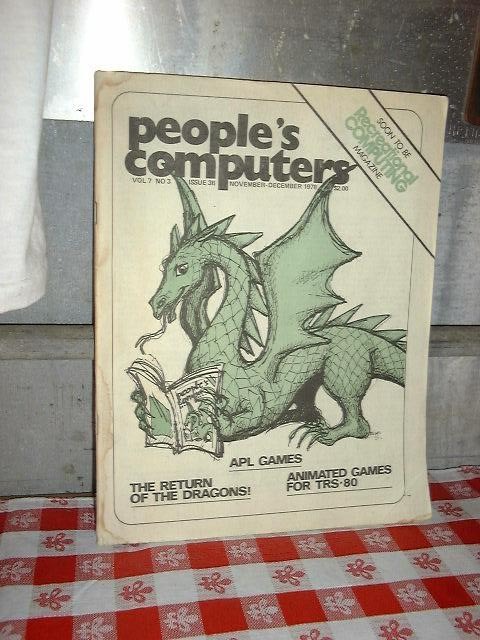 Many things came out of the PCC, which will be described on these pages in the coming months. 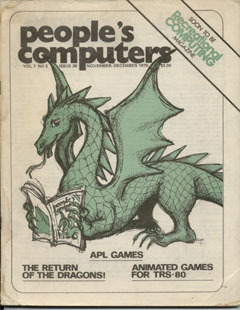 PCC helped to spawn Dr. Dobb's journal and itself morphed into Recreational Computing magazine by the end of the 1970s. 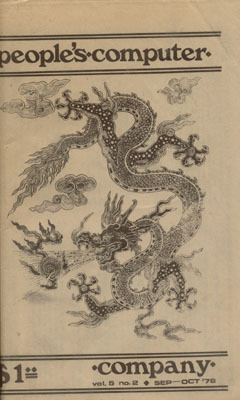 Each issue has a dragon theme on the cover or somewhere within especially in the classic DragonSmoke pieces found in most issues. 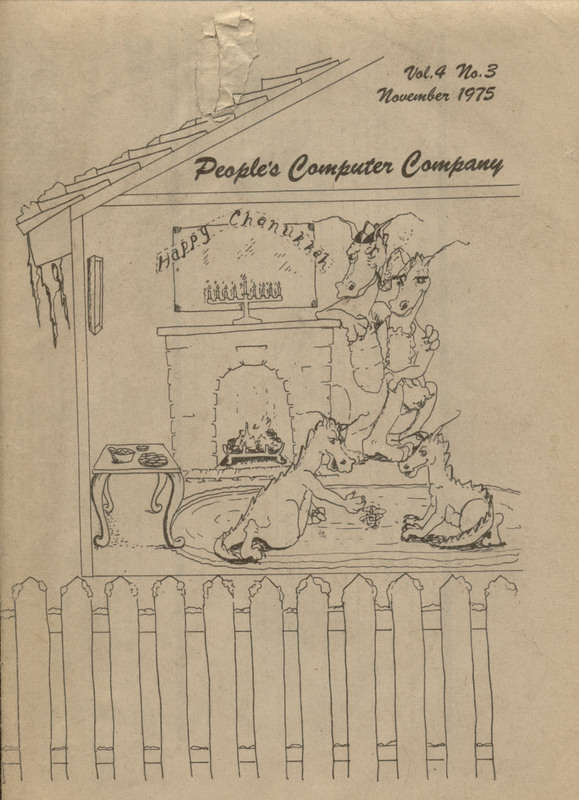 These great documents also contain the super cool "Fortran Man" cartoons (some of the first cartoons about computers and those who use them). We are most grateful to Bob Albrecht for his support of this project to tell the story of PCC. Last but not least, see Bob & George's description of DragonSmoke here and read some of Bob's words below. Click on the PCC covers below for detailed views and individual issue page scans and descriptions. If you have any information about these newsletters or could contribute other newsletters or stories from this period, please contact us. 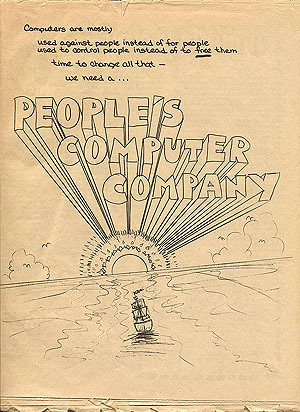 People's Computer Company Issue #1 - October 1972! Contributed to our PCC efforts! Running HurkleQuest play-by-email games for elementary-school teachers and their students, grades 2-6. Want to play HurkleQuest? 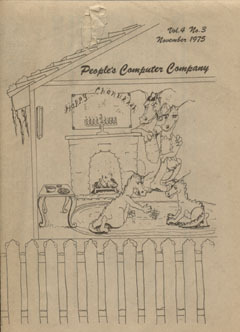 Send email to HurkleHiders@aol.com Say, "I want to play HurkleQuest." Developing and teaching a new college algebra course for the US Coast Guard on the Oregon coast. This course is based on the use of the TI-84 Plus graphing Calculator. 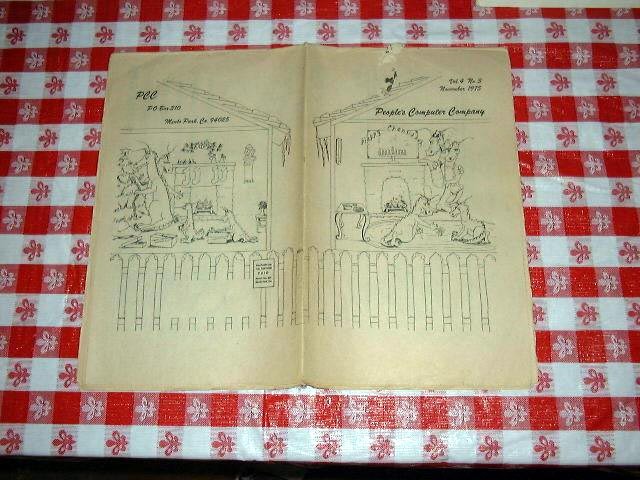 and see Bob & George's description of DragonSmoke here.